Award-winning pianist Winston Choi joins New Philharmonic (NP), under the baton of Maestro Kirk Muspratt for two concerts featuring works by Ravel, Rachmaninoff, Shchedrin and more at McAninch Arts Center, 425 Fawell Blvd., Saturday, Feb. 7 at 8 p.m. and Sunday, Feb. 8 at 3 p.m. The program will open with Choi as guest pianist for Maurice Ravel’s “Piano Concerto for the Left Hand Alone, D major,” a work originally commissioned by the Austrian pianist Paul Wittgenstein, who lost his right arm during World War I. Choi will also join NP for Sergei Rachmaninoff’s “Rhapsody on a Theme of Paganini, op.43,” a work that has also been used for ballets by Lavrovsky (Bolshoi Ballet, Moscow, 1960), Frederick Ashton (Royal Ballet, London, 1980). The program will also feature Rodion Shchedrin’s “Carmen Suite,” created as the score for a one-act ballet choreographed in 1967 by Cuban choreographer Alberto Alonso; and Nikolai Rimsky-Korsakov’s “Capriccio Espagnol, op.34.,” a five-movement orchestral suite, based on Spanish folk melodies. 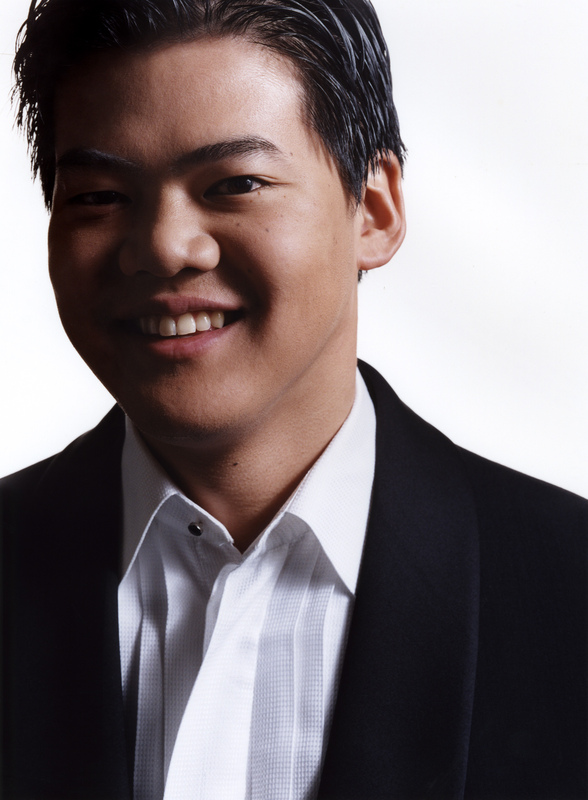 Winston Choi was Laureate of the 2003 Honens International Piano Competition (Canada) and winner of France’s 2002 Concours International de Piano 20e siècle d’Orléans. He regularly performs in recitals and with orchestras throughout North America and Europe and also tours extensively and internationally with his wife Minghan Xu as a part of Duo Diorama. Already a prolific recording artist, he can be heard on the Albany, Arktos, Crystal Records, l’Empreinte Digitale, Intrada and QuadroFrame labels. Formerly on the faculties of the Oberlin Conservatory and Bowling Green University, Choi is currently Associate Professor and Head of Piano at the Chicago College of Performing Arts at Roosevelt University. As a part of its 2014-2015 Season, New Philharmonic is showcasing some of area’s most talented youth musicians at select concerts. For the Saturday, Feb. 7 8 p.m. concert a violin trio composed of Wheaton’s Luke Mondia, Ben Fefferman and Kevin Li will perform. And for the Sunday, Feb. 8 3 p.m. performance, Naperville’s own Madison Perry will perform the vocal solo. Award-winning pianist Winston Choi joins New Philharmonic (NP), under the direction of Maestro Kirk Muspratt for works by ravel and Rachmaninoff in concerts at McAninch Arts Center, 425 Fawell Blvd., Saturday, Feb. 7 at 8 p.m. and Sunday, Feb. 8 at 3 p.m. Tickets are $46. A limited number of $10 student tickets will also be available, with valid student ID. To order tickets, call 630.942.4000, or visit AtTheMAC.org. A free MAC Chat will precede each performance beginning one hour prior to the performance. Tune into WFMT on Feb 5 at 3pm for a sneak peek of Winston Choi’s performance!